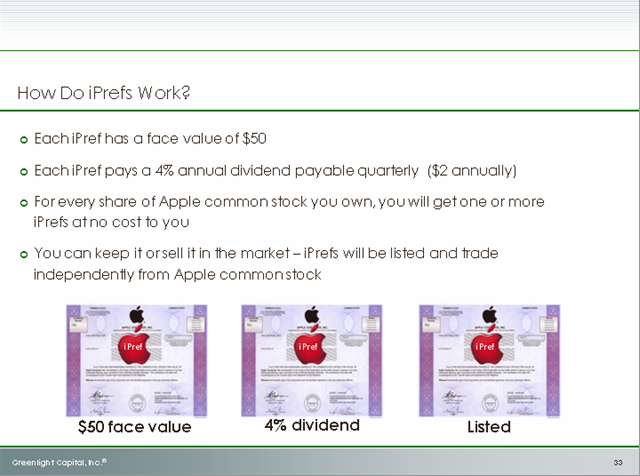 Greenlight Capital founder David Einhorn said his proposed capital-allocation strategy for Apple is a “a win-win for everyone,” and in a Thursday afternoon presentation to investors, entitled “iPrefs, Unlocking Value,” the longtime Apple bull explained why. Essentially, they’re shares that pay dividends forever. 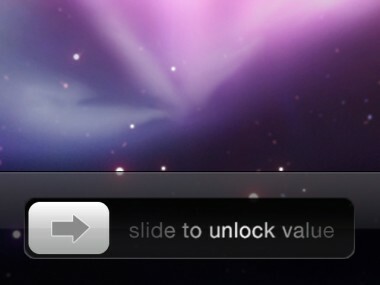 But why does a company like Apple need such a thing? Most other publicly traded companies don’t seem to. Well, Apple isn’t like most other companies. Apple’s annual shareholder meeting scheduled for next Wednesday, Feb. 27, at company headquarters in Cupertino, Calif.
Below, Einhorn’s presentation in full.